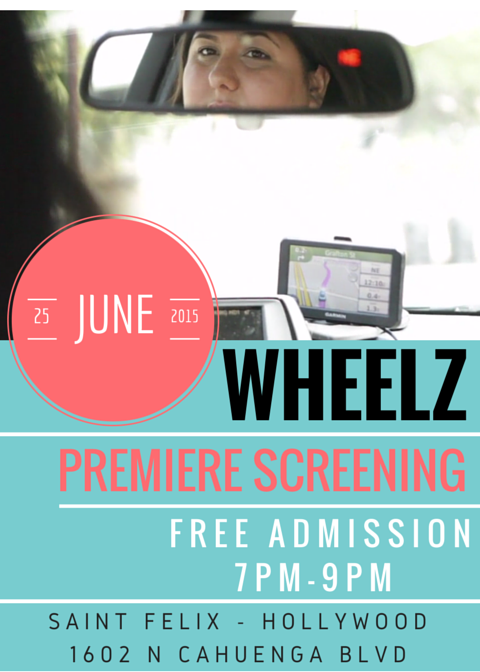 Join us on Thursday, June 25th at Saint Felix in Hollywood from 7-9pm for the premiere screening of Wheelz. Rebecca Hirsch and I are so excited to finally share what we have been working on for the past year. We will be showcasing the first 5 episodes of the series. Come One! Come ALL! Much fun will be had! *Wheelz is a comedic web series about a tragically underemployed millennial and aspiring actress in Los Angeles who drives for a ride-sharing service called Wheelz. The whole series takes place inside the car, following her journey as she deals with an array of absurd Angelenos, one ride at a time! Starring Chelsey Donn, Rebecca Hirsch, Jessica Andres , Kether Donohue, Stephen Ellis, Yara Figueroa.